In the raging Keystone XL debate in the US, there is an ongoing discussion as to whether it is better and safer to transport oil by rail or road. The State Department has argued that if the KXL pipeline does not go ahead, it will not stop the tar sands from being developed, as the toxic fuel will just be transported by rail instead. Many people believe this argument is fundamentally flawed, as the only option for the climate is to leave the tar sands in the ground. The climate debate aside, you would have thought that the oil industry would have been keeping its head down right now, and not go spilling a drop of oil to give it the best case for arguing for KXL and how it can operate responsibly and safely. If that is the case, then it is not doing a great job at all. On either rail or road. Last Wednesday, a mile-long train transporting oil from Canada derailed, spilling 30,000 gallons of crude in western Minnesota. Reuters reported that it was unclear if the oil was from Canada’s tar sands or from conventional oil fields. Hey, not so fast there Jim. 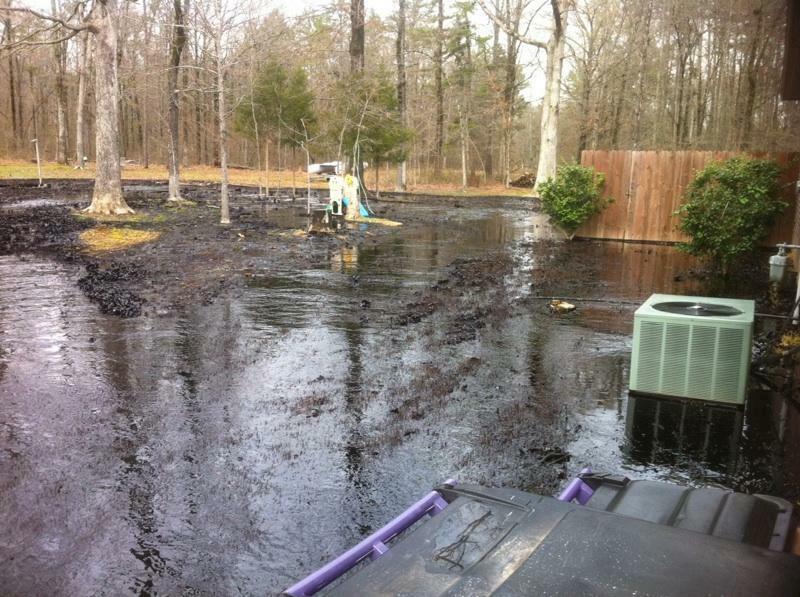 Not to be outdone in incompetence, on Friday, ExxonMobil’s Pegasus pipeline ruptured in what the authorities are calling a “major spill”, leaking an estimated 84,000 gallons of oil into the Central Arkansas town of Mayflower, about 25 miles north of Little Rock. This pipeline does carry the tar sands to the refineries of Texas. Youtube video’s show oil flowing down a suburban street. It caused at least twenty homes to be evacuated, with some residents expected not to be able to return for “at least a week”. Luckily it seems a major environmental disaster has been narrowly avoided, as the same pipeline carries tar sands across 13 miles of the Lake Mamelle watershed as well as crossing the local Maumelle River three times. Moreover, by luck the oil had not reached the nearby Lake Conway. The incident once again shows the fragility of the U.S. pipeline network and the inherent dangers of transporting more crude by KXL. “This latest pipeline incident is a troubling reminder that oil companies still have not proven that they can safely transport Canadian tar sands oil across the United States without creating risks to our citizens and our environment,” said Rep Edward J. Markey, the ranking Democrat on the House Natural Resources Committee. So once again forgetting the climate arguments, purely on safety grounds it looks like KXL should be rejected. The oil industry cannot be trusted with running its current pipeline network, let alone with building a new one.